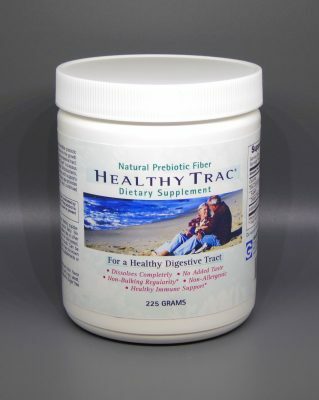 HealthyTrac® is a natural fermentable prebiotic fiber which acts as a food source for the growth of beneficial bacteria in the gastrointestinal tract. Healthy Trac® is a natural fermentable prebiotic fiber which acts as a food source for the growth of beneficial bacteria in the gastrointestinal tract. Clinical studies show Healthy Trac® increases the production of “beneficial” Bifidobacteria, short chain fatty acids, butyrates and supports healthy levels of lactobacillus. Daily use provides fiber for a soft regular stool and continued healthy, normal colon health. Healthy Trac® can be added to hot or cold cereal, sauces or blended with most foods. 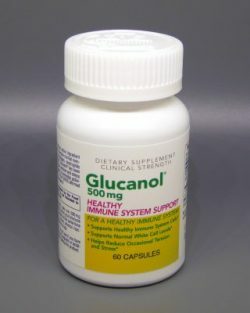 Can be taken on an empty stomach and has no known adverse interactions with other supplements or prescription drugs. 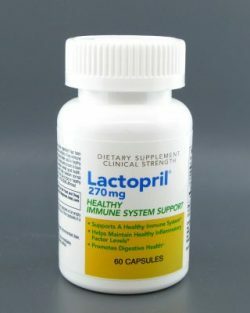 Healthy Trac® prebiotic supplement, contains no artificial color, flavor or preservatives and is free of corn, soy, yeast, wheat, grain, egg and milk products. Sugar free and diabetic friendly. Healthy Trac® is recommended Gastroenterologists as a stand alone product or for use with probiotics for the symptomatic relief of discomfort from IBS and Crohns disease as well as promoting a healthy GI tract.